New Balance 574 - "Boston Red Sox"
After recently signing the Red Sox to a footwear and apparel deal, New Balance drops a Boston-inspired 574. Earlier this month, New Balance and the Boston Red Sox announced a partnership that will make the brand the official footwear and apparel sponsor of the franchise. This comes nearly a year after second baseman Dustin Pedroia signed an exclusive multi-year sponsorship deal with New Balance of his own. They're also engaged in deals with Kevin Youkilis and manager Terry Francona. The new multi-year agreement will not only supply gear to Red Sox players, but to employees and minor league affiliates as well. With the new deal in place, it should come as no surprise that we're seeing Red Sox inspiration applied to classic New Balance models. 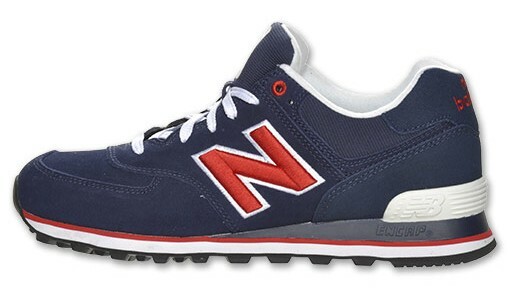 The latest release from NB's MLB-inspired 574 series sports a colorway that represents Boston. Dark blue suede is used for majority of the upper, while white and red compliment the look throughout. Finishing things up below is a black rubber outsole. 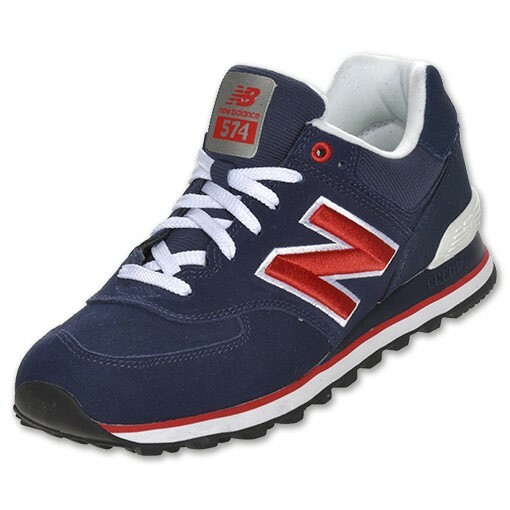 You can pick up the "Red Sox" 574 today over at Finishline.